FORMER U.S.S.R. - CIRCA 1950-1960: Newsreel, the people of the USSR, the city. hd00:18UNITED STATES 1960s-1970s : College students standing around and conversing throughout the campus. sd01:581950s - A psychology film from the 1950s explores the issues of gossip and bullying in the high school. 4k00:07MINNEAPOLIS, MINNESOTA ? 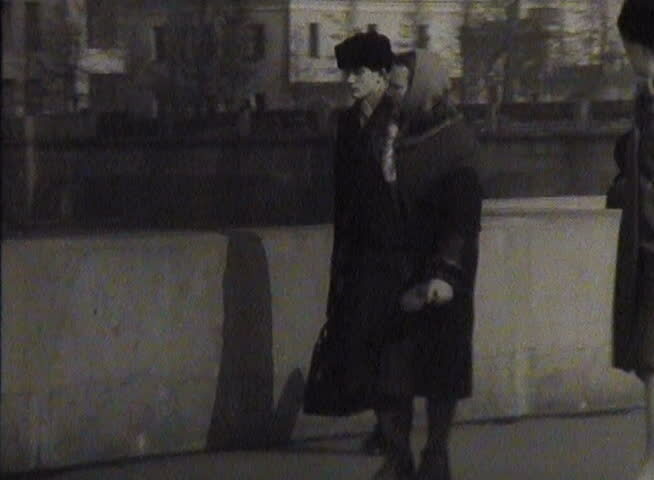 1937: Lady escorted by gentleman doorstep to sidewalk streets. hd00:52Buenos Aires, C.A.B.A., Argentina - 1/09/2017: protest march for the disappearance of Santiago Maldonado, incidents with police and police repression, arrested demonstrators. sd01:13CIRCA 1940s - Principle number two of salesmanship, demonstrated in 1947, by an American business entrepreneur and advisor.